If you’re looking for a new WordPress theme for your blog, then this post is for you. In my GeneratePress review, I’ll share with you a multipurpose, lightweight WordPress theme that’ll be perfect for your next project regardless of the type of website you’re building. Like most of us, you probably don't wake up in the morning thinking of WordPress themes as your mind is already occupied with the thoughts of making money – and a theme is not just part of your problems. But sometimes it's worth paying a little more attention to your theme as the right theme will not only improve your website’s loading time and visitors engagement, but it will equally abolish that frustrating feeling you get when you see a blog that looks good, feels good and loads better than yours. 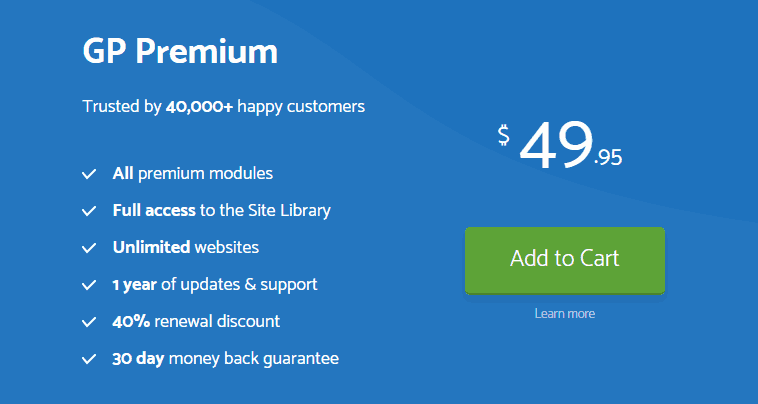 In this post, I hope to reveal to you just how this lightweight, multipurpose, and insanely affordable WordPress theme can benefit your website from both perspectives. Not only will GeneratePress reduce your page load time to a large extent, but it will equally give you the flexibility to make lots of code-free changes on your site and have more control while working with page builders like Thrive Architect. The GeneratePress WordPress theme is one of the most impressive WordPress themes I’ve used in awhile, and I highly recommend it to every serious blogger and small business owners. Try GeneratePress Right Here! 1.1 Who Is GeneratePress Theme Perfect For? 2.1 GeneratePress Pricing | What’s the Cost? 2.2 Is GeneratePress Premium Worth Its Price? 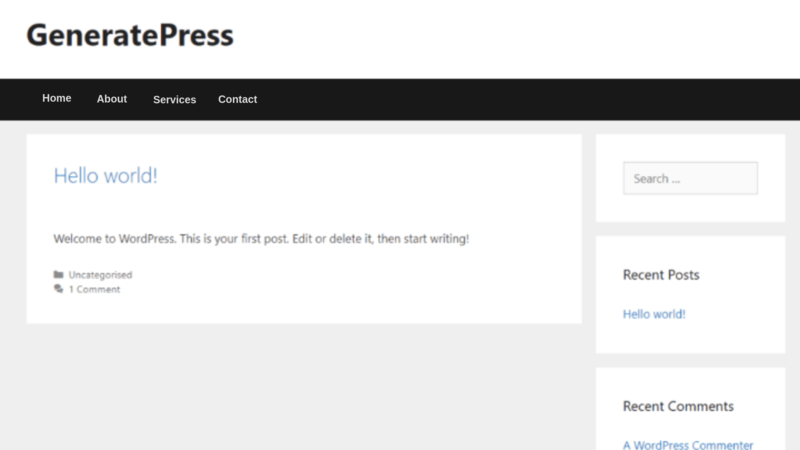 GeneratePress is a WordPress theme created by Tom Usborne who’s a popular WordPress developer. 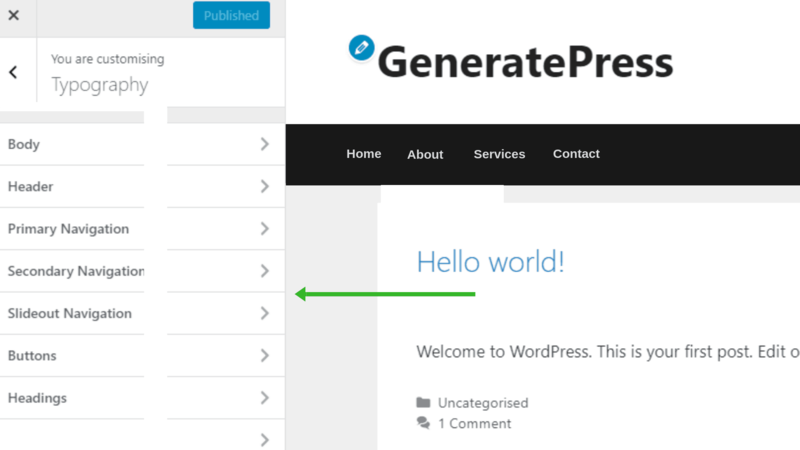 The free version of GeneratePress is available to install on the WordPress repository and is loaded with limited but enough set of functionalities. The huge download counter and ratings alone is rare in the case of WordPress products and proves the high-quality of the GeneratePress theme. That’s not all; you also get access to their support forum which already has answers to thousands of important questions. They have excellent support, even for the free theme, and you won’t feel left out as a free user. However, to get all the functionalities in GeneratePress, and also have the ability to customize the theme as you want, I recommend going for the pro version. Although in this GeneratePress review, my focus is mainly on GeneratePress premium, which is basically a plugin, with a set of 14 paid add-ons that gives the theme an ample of essential features that I'll talk about below. In other words, GeneratePress' main features are only accessible in the premium version. Therefore, for the remaining of this review, I'll be referring to everything as “GeneratePress” instead of drawing any distinction between the premium and free features. Who Is GeneratePress Theme Perfect For? If you’re more focused on performance and want to be able to customize and control how your website looks, then GeneratePress is the perfect theme for you. In other words, you can easily make GeneratePress do just anything you want. And because GeneratePress is more focused on performance, your website will have an excellent foundation to make it load pretty fast. This is why people who build WordPress websites for a living usually go for GeneratePress. They’ll just pair it with any WordPress page builders like Thrive Theme and Elementor and use it for literally any type of website. However, if you want something that will look perfect out of the box immediately you install it, then GeneratePress might not be for you. For instance, if you want to create a tech blog, you might be better off going for a theme that’s developed exclusively for tech bloggers. While the GeneratePress theme is pretty easy to use, thanks to its inbuilt Site Library, the theme still looks very empty after the first install. Therefore, you’ll definitely need to go in and customize things so the theme can look exactly how you want it. And while the key benefit of the GeneratePress theme is how customizable it is, many users, especially newbies, dislikes having to make those modifications themselves, and it can be totally confusing too. Compared to some other popular themes such as Thrive Themes, StudioPress themes or Astra, GeneratePress doesn’t feel as feature rich as those other three. Or, perhaps that’s not the right word to use. So I’d rather say that GeneratePress doesn’t have as many bells and whistles, as the other three themes. Whether that’s a good or bad sign entirely depends whether you need those bells and whistles or not. But I personally prefer simple themes, with simple settings and customizer panel, instead of a theme with several unnecessary features. Here are some of the essential functionalities that make GeneratePress stand out from other themes to become one of the top-rated multipurpose WordPress themes. Website load time is one of the most significant SEO ranking factors you should never ignore. Not only for the sake of Google, but people also prefer a fast loading website. Hence, about 40% of website visitors will leave the site if it takes over 3 seconds to load. 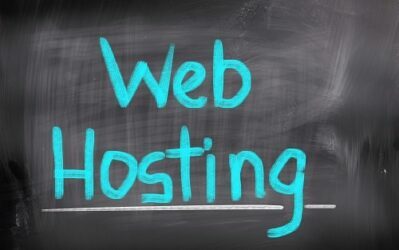 Although we all know that website load time also depends on web hosting, your theme and its quality of code also have a significant role to play here. Fortunately, GeneratePress is pretty awesome in this regard as it has no code dependencies, which enables you to avoid the render blocking error often mentioned by Google Pagespeed Insights. Put all these that together, and you get a jet-like loading theme. To demonstrate this to you, I performed a little test. First, I created a fresh website and installed one of the most popular WordPress themes by ThemeForest (NewsMag). That’s obviously not bad at all! But wait before concluding. Now, if you carry out that same test with other WordPress themes, you will continue to find out that GeneratePress is one of the sleekest and fastest-loading WordPress themes at the moment. The more reason you should start using it immediately. You should have known this by now, but in case you don’t, mobile “speed update” is one of the official updates by Google that can tremendously affect a website’s ranking in the search engines. For the first time, over 50% of Google searches were performed on mobile devices. And this made smart marketers adjust to the trend quickly. Now, many expert marketers suggest having a separate website for mobile visitors though, but it’s somewhat technical to implement and not feasible for non-tech savvies (myself included). However, we still have a good alternative, and that is by using a responsive WordPress theme. Unfortunately, most themes today throw “responsive” on their marketing page, but only a few of them lives up to their promise as lots of them usually end up with poor mobile versions of your site, which aren’t good for all the mobile traffic coming to your website. But GeneratePress is utterly exceptional here. Tom Usborne (the developer) has done an excellent job at improving the theme’s responsiveness, and it looks flawless to mobile readers. That’s not all; you’re also able to customize margins and padding for mobile readers if needed. Visit your Google Analytics account to see what percentage of your website visitors are on mobile devices. Check how your current theme appears on mobile devices. If you found that the percentage is high and your current theme looks ugly on mobile, you're about to make the majority of your visitors really happy if you switch to GeneratePress today! Apart from performance, GeneratePress equally does well is its customization options. For its customization options, GeneratePress uses the regular WordPress Customizer, which is convenient because it will allow you to see all the changes you’re making in real time. You’ll get a decent option with the free version of GeneratePress though, but with the Premium version of GeneratePress, you can easily customize pretty much everything about your website. Blog post layout – such as featured metadata, image size, and others. And you also get an in-depth area to control the color of all the elements on your site. In a nutshell, GeneratePress features a bunch of customization options in the WordPress Customizer section than most other WordPress themes. Although, this might be a bit overwhelming if you’re a newbie. But once you’ve mastered how the settings come together, you will have full control over the looks of your website. Most WordPress themes out there are one-size-fits-all, which means you’ll definitely get all the features. Now, there’s nothing wrong with you wanting all the features that your theme offers. But how possible is it to use all the features in your theme? When was the last time you even tried to do that? Well, I don’t think anyone can actually use all the features. For example, if you're using a theme from ThemeForest, which comes bundled with several features and you've perhaps used like ten. That means your website is probably taking a performance hit for features you’re not even using. 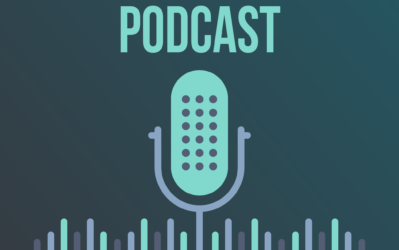 Mind you, it’s not just about stopping the feature from showing, you only load the code for the features you want to use – and that's another thing that made GeneratePress, so performance optimized. If you’re familiar with Search Engine Optimization, then you would know how critical it is to have schema structured data for all your articles. It helps to improve your search ranking as the search engines can easily crawl your pages since it’s already structured. Excitingly, GeneratePress comes with built-in schema support which abolishes the need for getting another plugin for this task. The biggest trauma of changing theme is to have compatibility related issues with your most essential plugins. Some themes may start showing errors or act strangely upon switching to them, which will require more time and skill to fix. And in some cases, you’ll have no other choice than to replace the conflicting plugin. In my experience, I encountered no issues or unnatural acts after switching to GeneratePress in one of my sites, and there was no need to replace a plugin. Everything worked smoothly especially my Thrive Plugins! If you have any experience with PHP, HTML, and CSS, you'll love how developer friendly GeneratePress is. It has a few features that make it pretty easy to customize. 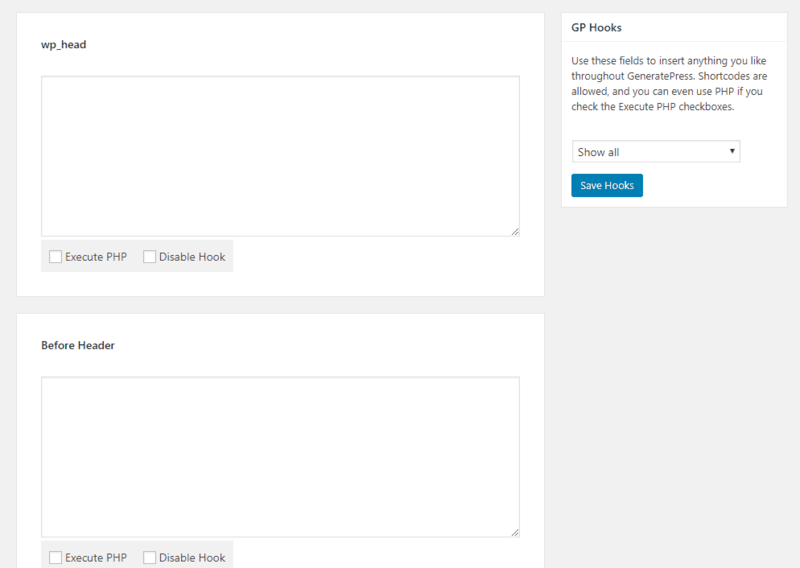 For clarity sake, WordPress hooks are a powerful feature that lets you effortlessly insert code or content at specific areas on your website. For example, if you want to insert the Google Analytics tracking code, you can simply insert it on the wp-head hook – and the “After Header hook” is there if you want to add a banner ad below your website's header. Once you understand how the Hooks work, you won’t have to border about editing your theme's source code directly ever again! Apart from the hook, GeneratePress also has a section called “Additional CSS” if you want to insert your own custom CSS. Imagine when you have to buy different licenses of the same theme just because you like it and want to use it on your other sites. It’s really annoying, and often give me the impression that the developer is ripping me off. There could be a limit of 5 to 10 sites though, but getting a separate license for each website is entirely a turn off for me. Good enough, the GeneratePress team are not here to rip you off as the theme lets you install it on unlimited websites of your own. 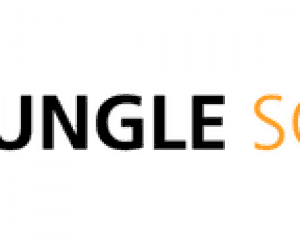 In other words, the single license can be used on all your sites with automatic support and updates. 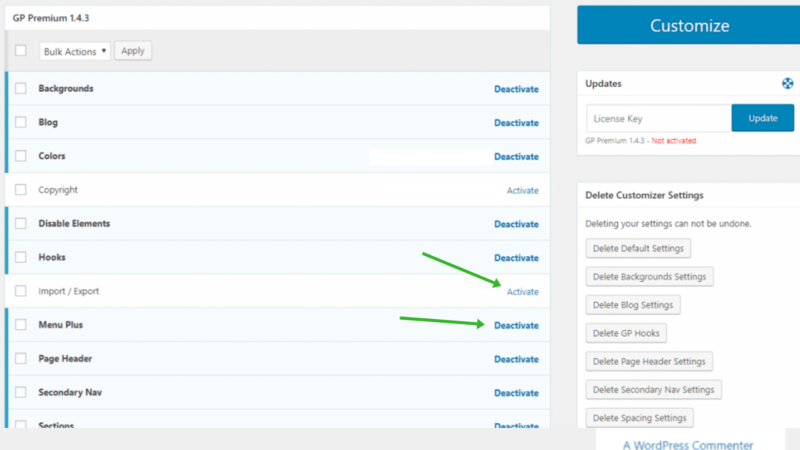 The majority of WordPress themes we use today gives you the same settings for each post and page. You might have some custom formats or templates, but you have very little control outside that. As you can see, GeneratePress gives you incredible control over your website, so you can set up your pages and post exactly the way you want. One of the things I love about the GeneratePress theme is their customer support, even for the free version of the theme. Admittedly, most free WordPress themes have a support forum in the WordPress theme directory, but the developers are often unresponsive, and those forums are nothing compared to a full knowledge base. 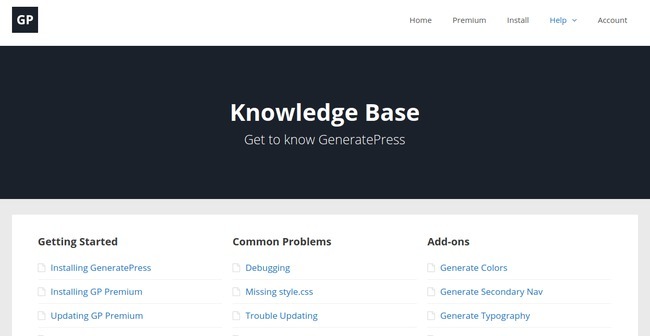 Interestingly, the GeneratePress team has a dedicated website for the theme, where you can always check out the theme’s features, support docs, and knowledge base content for both the free and premium versions of the theme. 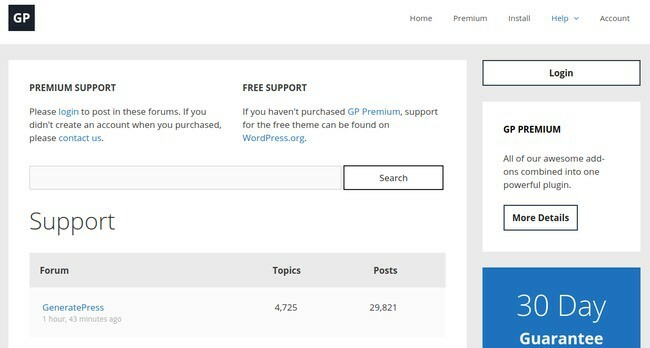 The free theme support takes you to the WordPress.org page, but I discovered that the premium forums answer most of the questions you’ll need for the free GeneratePress theme. Although the knowledge base is meant for GeneratePress premium, it also touches some of the things you might see on the free version. And because many users often end up upgrading to the pro version, it’s cool to see that they have all the resources you need once the moment comes. For instance, the knowledge base covers topics such as installing the theme, debugging, and generating colors through an add-on, etc. Initially, you’re required to build GeneratePress sites from the ground up – and that made the theme challenging to set up, especially for casual users. The GeneratePress theme can be installed right from your WordPress dashboard just like any other free WordPress theme. Once you’ve completed all these steps, the next thing will be to navigate to WP admin => Appearance => Themes => GeneratePress and activate your desired premium modules. 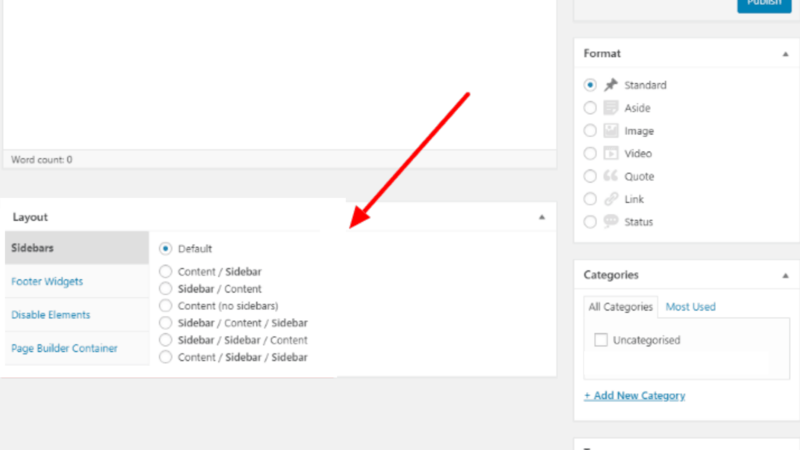 Now, when you go to the native WordPress customizer, you can see these features are enabled, and you can then begin changing the look of your website as you want. GeneratePress Pricing | What’s the Cost? 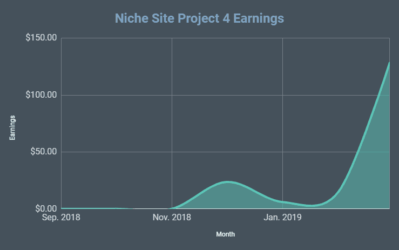 As you can see, the theme is affordable considering the features – and a plus for people operating more than one WordPress sites. That’s not all; you’ll also have 30-days money back guarantee, so you can get a refund if you’re not happy with the theme. Is GeneratePress Premium Worth Its Price? GeneratePress premium is undeniably a good theme for any WordPress powered blog or business website. With the free version, you’ll get limited customization options, and you need some technical skills to build a professional looking website. However, the GeneratePress premium will make everything easy for you, which justifies the price – and judging by its performance, features, and customer support, GeneratePress premium is definitely worth the price. 1. What if I don’t renew my license? License renewal is meant for continued support and updates. You’ll still be able to use the full functionalities of the theme even if you fail to renew the license. The only consequence is that you won't get future supports and updates from GeneratePress. Although, the good thing is that GeneratePress offers 40% discount for the renewal. So I don’t see any reason not to renew it. 2. Is GeneratePress good with page builders? GeneratePress is one of the best themes you can use with page builders. For example, Elementor officially recommended it to be used with their fantastic page builder. I'm personally using GeneratePress with Thrive Architect and loving it as it's very compatible. 3. How many Websites can I use GeneratePress on? 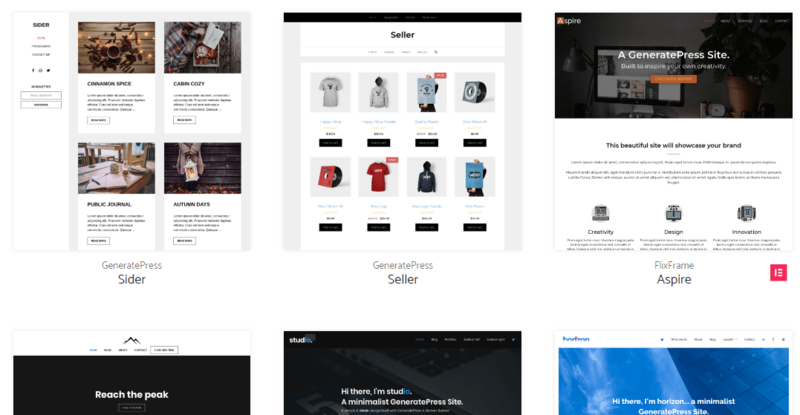 GeneratePress theme can be used on as many sites as you want, both the free and premium version. However, it’s not advisable to use GeneratePress on your clients' websites as you’ll be required to share your premium license code with them, except you’ll purchase a separate license for them. 4. How does GeneratePress compare with Genesis and other themes? In my opinion, Genesis Framework is missing out on lots of essential features. It’s very costly but lacks many of the vital features in GeneratePress, and that is the same problem with many themes out there. Although Genesis has lots of stunning WordPress themes, they’re nothing compared to GeneratePress. For the price, Genesis is simply not worth it. 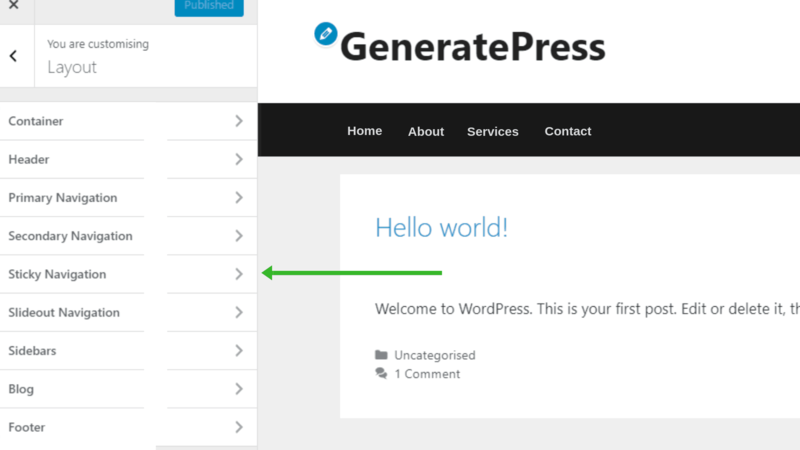 GeneratePress is a very wonderful WordPress theme, but I don’t think it’s for everyone. 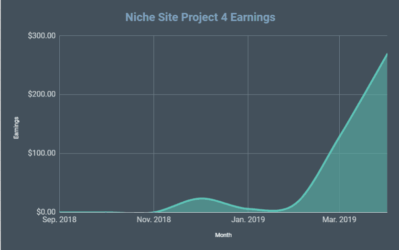 If you’re looking for a niche specific theme, you might probably consider buying a theme that perfectly fit your niche requirements. However, if you’re happy to spend some time configuring things, GeneratePress give you the flexibility to transform it into any type of WordPress website. 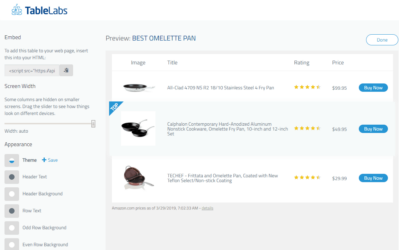 Or, you can even save time by finding a starter site that fits your needs from the demos. Furthermore, GeneratePress is one of the fastest-loading WordPress themes you’ll ever find. Therefore, if you want a lightweight theme with the best possible performance, purchasing GeneratePress is undoubtedly a great decision. Combined with a fast-loading web host, you should have no problem making your website load in under one second as demonstrated earlier on the post. Finally, do let me know if you have any questions about GeneratePress, and I’ll do my best to answer you.